What Romney calls a “Prosperity Pact” is a re-labeling of the same basic principles of foreign aid as practiced by the past Obama, Bush, and Clinton administrations while ignoring how defense and diplomacy make development possible. Stabilizing weak states provides both stability and potential export markets; as does combating drug shipments, WMD threats, and nuclear proliferation, responding to humanitarian disasters, and training foreign military and police creates partnerships that improve regional security and export markets. Most Americans would be surprised to know how little is actually spent on foreign aid. When asked on the street, guesses often range from 10-25% of our budget-which in times of massive deficits would be difficult to defend – except the actual figure is 1.4%. It’s called the International Affairs Budget, and in actual terms, 1.4% equates to$ 48 billion in 2011. This funds the State Dept and every aid and assistance program except for the Peace Corps (which costs only $ 342 million). Most Americans would be equally surprised at how the money is spent; it’s not spent on give-aways and abortion programs as claimed by the Tea Party and other isolationist groups; but instead includes military aid to Israel, a $ 100,000 grant that led to $ 61 million of US exports to Morocco, and Counternarcotics programs in Mexico – as a businessman; Gov Romney surely appreciates how the multiplier effect of that $ 100,000 US Trade & Development Agency grant to a small New Jersey company. But what Romney still doesn’t understand is that trade will not happen in a vacuum; businessmen only invest in countries where the laws don’t change overnight and warlords don’t steal goods from the docks. While his Prosperity Pact guidelines state that the U.S. will provide aid to developing countries that remove barriers to investment and trade; it’s the International Affairs Budget that builds rule of law so countries can fight corruption, have free and fair elections, and have governments based on democratic principles creating the infrastructure that Romney-the-businessman takes for granted. Six billion+ people live in the 3rd world or developing world, and those countries are far from easy business opportunities. 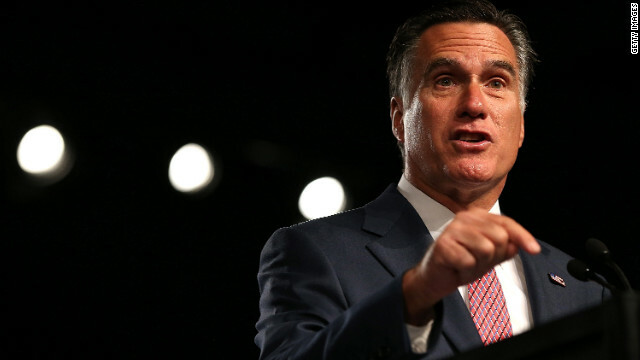 While Romney acknowledged the growth of microloans and microfinance companies, in a separate memo his campaign said microloans are only a “poverty alleviation strategy” and called for a “much greater focus” for small and medium-sized businesses that are too big for microfinance. That’s a shame because the entrepreneurs Romney talks about empowering are usually small groups of Zambian women with sewing machines making clothing in Peruvian ladies selling lunches to miners; the larger companies are usually the corrupt government companies stifling those fledgling entrepreneurs. We’ll be looking forward to the Governor’s thoughts on how – or if – he intends to implement a foreign and defense strategy that recognizes the unclear and muddled world in which these six billion potential consumers live.